West Bengal has been a major political and trade centre in ancient India. Therefore, it is natural for West Bengal to possess several ancient monuments which depict the lifestyle, culture and history of the state at that point in time. Forts are amongst these historical monuments in West Bengal which showcase the rich culture and history of the country. So, how about visiting these ancient forts in West Bengal? Ranging from forts in dilapidated conditions to forts converted into luxury hotels, this list includes forts which have been a significant part of the state at some point in time. Even though many of these forts are broken down, they are still visited by numerous tourists, travellers and history lovers. Read on to know more about these marvellous forms of architecture. Fort William is located in the city of Kolkata and was built during the British period in the 18th century. It was under the control of East India Company and later on under Siraj-ud-Daulah. Even though it has been renovated several times, there are still several places inside the fort which have been standing since their formation. Today, it is under the control of the Indian Army and hence, serves as the Army Headquarters. St. Peter's Church, which is located inside the compound of Fort William, now acts a library to the troops of the Indian Army. So, how about catching a glimpse of this ancient fort and learning more about it? 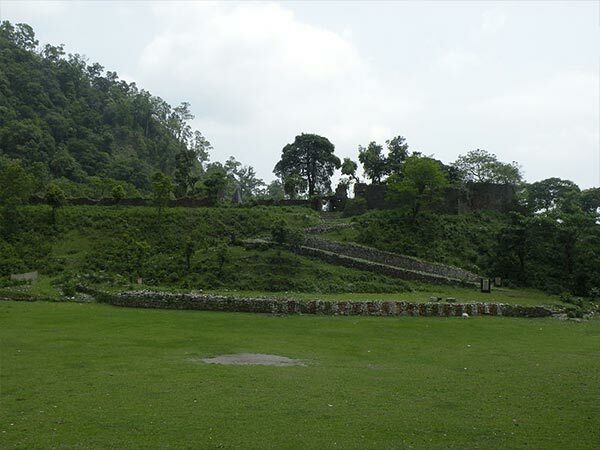 Located in the Alipurduar district, Buxa Fort has been used as a trade point and a prison fort. It has also been a major point of dispute between the king of Bhutan and the Cooch kings of Assam and Bengal. Even though the history of Buxa Fort is unknown, it is said that the kings of Bhutan used this fort to protect the Silk Route from invaders. Abandoned in 1951, this fort was under the control of British when they captured the fort after signing the treaty of Sinchula. Today, it has become a spot for historians and history lovers, who come here to explore the history of the place. Moreover, it also attracts several nature lovers and picnic goers due to its peaceful atmosphere and green environment. Located near the small village of Gaganeshwar in the Paschim Medinipur district, Kurumbera Fort is one of the most visited forts due to its beautiful structural formation and beautiful surroundings. It was built during the 15th century by the Suryavanshi Gajapati kings of Odisha with a perfect blend of Medieval and Mughal architecture. Kurumbera Fort is under the care of the Archaeological Survey of India and hence, the beauty of the fort is still intact and alluring. From a three-domed structure on a platform to temples and quarters, the boundaries of Kurumber Fort enclose several beauteous buildings on account of which it witnesses thousands of visitors every year. Fort Mornington is one of the oldest forts in the state of West Bengal and is located in Gadiara, a small hamlet at a distance of around 80 km from Kolkata. Being located at the conflux of three rivers, Damodar, Hooghly and Rupnarayan, Gadiara is popular amongst tourists for its ruined Fort Mornington. Even though the exact history of the fort is still unknown, it is said that the fort was built by Lord Clive. During the floods of 1942, the village of Gadiara along with Fort Mornington was hit, resulting in the collapse of the fort. Today, it has become a picnic spot where you can see people coming from nearby cities and towns to take a break in the peaceful environment surrounding the ruins of Fort Mornington. Also known as Fort Raichak due to its location in the small town of Raichak in South 24 Parganas district, Radisson Fort has been converted into a five-star hotel after it became the victim of time and turned into ruins. Today, you will not be able to find any shred of evidence of the presence of Fort Radisson; however, you can still explore its surroundings and the place where this marvellous piece of architecture was built. Located on the banks of Hooghly river, the area around Fort Radisson also gives its visitors the opportunities of boating and fishing. So, how about getting here and exploring the surroundings of ancient Fort Radisson?